This issue of The Broken Rifle focuses on conscientious objection in Greece and International CO Day. Since the 1980s, International CO Day -- celebrated on 15th May every year -- has been an important day of action highlighting CO struggle. This year we are turning our attention to CO's in Greece and will be holding an International Nonviolence Training in Thessaloniki. Greece was the last EU country to recognise the right to conscientious objection when it finally did so in 1997. Lazaros Petromelidis is a Greek CO who has been persecuted for his beliefs since 1992. He spoke with Kat Barton about his long struggle for recognition of his right to refuse. KB: When did you first realise that your conscience would not allow you to participate in the military? LP: In 1991, when I finished university and it was my time to go to the army - although I had heard about the first CO's in 1987/88 so it was not something new for me. KB: Why are you a conscientious objector? Conscription in Greece has wide-reaching implications for Greek society. These include financial conseas well as important effects on the socialisation of men and in the propagation of gender, sexual, racial and international stereotypes. Conscientious objection has an important role in challenging many of these structures. Whilst this subject is large, here we will attempt to give an overview of some of them. Compulsory military service was introduced in Greece by the Constitution of 1911. A year later Greece was engaged in consecutive wars (two Balkan wars, the First World War and the Campaign in Asia Minor), which lasted a decade. During the final two years of this decade there was a vast movement of desertions from the Greek Army, due essentially to the long period of mobilization (there were conscripts who were called up in 1911 and not released until 1923). There aren't known cases of desertion for ideological reasons at that time. 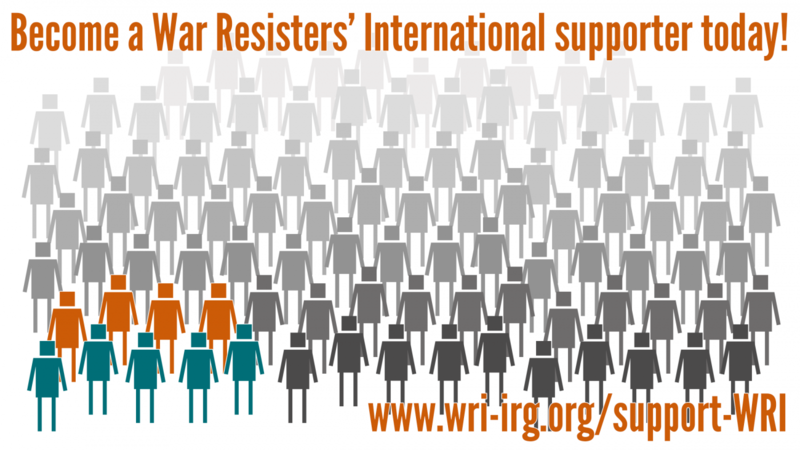 When the UN Human Rights Committee announced their plans to examine human rights abuses in Greece, WRI saw an opportunity to get CO issues on the international agenda and significantly raise the profile of the Greek struggle against militarism. WRI produced a comprehensive report on conscientious objection to military service in Greece detailing numerous human rights shortfalls. The report describes the legal situation in Greece vis-à-vis conscription and CO before outlining the problems and discriminatory practices that the current law causes. Cyprus, a tiny divided island in the eastern Mediterranean is a military minefield. Even after accession to the EU, no country in the world - with the exception of Korea - has seen its territory amassed with such a deadly array of weaponry with possible catastrophic consequences for the inhabitants. 40000 occupying Turkish forces and another few thousand Turkish-Cypriot soldiers face a few thousand Greek- Cypriots conscripts and Greek soldiers, with British troops and bases and a few thousand UN peace keepers guarding the ceasefire line. The Broken Rifle is the newsletter of War Resisters' International, and is published in English, Spanish, French and German. This is issue 66, May 2005. This issue of The Broken Rifle was produced by Kat Barton. Special thanks go to Yannis Christovergis and the Association of Greek Conscientious Objectors. If you want extra copies of this issue of The Broken Rifle, please contact the WRI office, or download it from our website.